The DIY Wedding, Craft and Family Fayre attracted more than 200 people keen to discover tips on how to host an environmentally friendlier big day while keeping costs down and getting creative. Leane Grote from the Factory, who co-organised the event, said: “It was a great day and a very successful first event which we would like to repeat in the future. “We had 15 stallholders who were all very positive about the event. The Dorset Scrapstore, which is based here at The Factory, hosted three very popular classes on the day involving more than 60 people. They also doubled their daily average takings and signed up 14 new members. “It was great way to bring people in to the Factory and promote the services that are available here. Stallholders at the fayre included a number of new start-up businesses looking to promote their services. They included Little Green Coffee Box, a luxury coffee and refreshment stall serving from a renovated horsebox. Other start-ups included Sweet Wishes sweet cart hire, Kapow Chocolate Fudge Company, Crown & Feather Wedding Stationery, and Dorset Pizza Kitchen, an outdoor wood-fired pizza caterer. There were stalls aimed at those with children including Lego gifts crafted by Brick Design by Erica, Magical Miracle Massage and Poole Mumbler, a parenting community website. 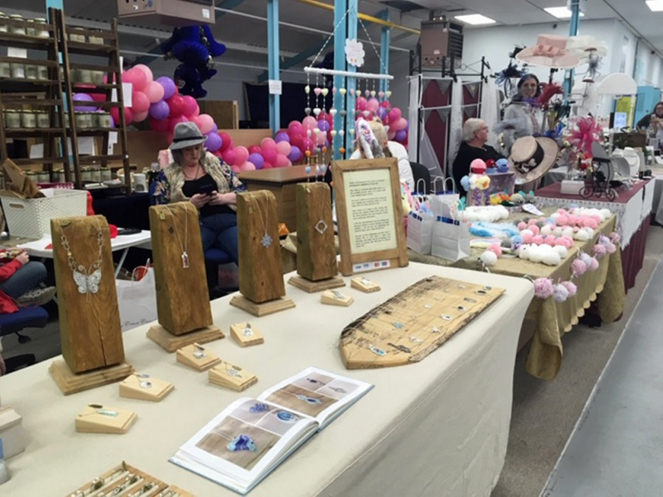 Established businesses exhibiting at the event included Fizzy Fellows Prosecco and cider van, Twisted Wicks soy wax candles, and bridal and jewellery stalls including Silver Art, and Wedding Elements by Lynne. All The Factory’s enterprises help fund BCHA, which has been helping homeless and vulnerable people for 50 years.